Pinnacle Black Label Surface Cleansing Polish is a non-abrasive, water-based polish that gently removes embedded dirt and grime, restoring a natural brilliance to your vehicle’s paintwork. Use this thick cream to prep your vehicle’s paint, wheels, and glass for application of a Black Label Diamond coating. Water-based formulation promotes proper bonding thanks to its wax, silicone, and oil free formula; polished surfaces can be coated immediately after application. Unless your vehicle is parked in the garage 24/7/365, it is constantly bombarded by airborne pollutants and environmental contaminants. 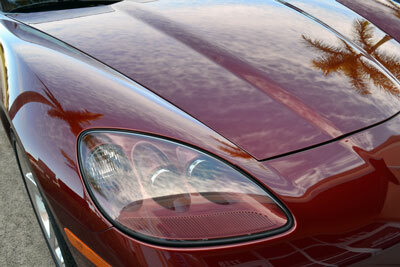 As these contaminants build up on your paint, they block waves of light, making the surface appear dull and faded. You’re never aware of how contaminated your paint is until you polish it with Black Label Surface Cleansing Polish, a 100% water-based polish that’s non-abrasive and safe for use on all paint systems. Applies effortlessly by hand or machine. Black Label Surface Cleansing Polish is the first step in properly coating your vehicle. In order for a paint, wheel, or glass coating to properly bond, the surface must be 100% free of contaminants, waxes, silicones, fillers, polymers, and polishing oils. Synergistic chemical compatibility enables Black Label Surface Cleansing Polish to clean, polish and prep the surface without using isopropyl alcohol or volatile chemical cleaners. Black Label Surface Cleansing Polish is capable of removing heavy road film, light water spots, embedded dirt, oxidation and light swirl marks. White paint will be brighter, dark paint will be richer, and glass will be clearer after being polished with Black Label Surface Cleansing Polish. In one step your vehicle will be clean, polished, and ready for long-term protection with one of the many Black Label coatings available. Crystal Red Corvette Convertible polished with Black Label Surface Cleansing Polish and coated with Black Label Diamond Surface Coating. Use Black Label Surface Cleansing Polish as part of your maintenance program for your preferred paint, wheel, or glass coating products. Thanks to its non-abrasive formula, the polish won’t abrade the surface, thus preserving the layer of protection created by the coating. It will remove staining and embedded dirt that has accumulated over time, rejuvenating the shine and boosting the impressive water-sheeting characteristics of the coating. Black Label Surface Cleansing Polish can be applied by hand or machine. Its thick, creamy formula spreads thin and wipes off without any effort. 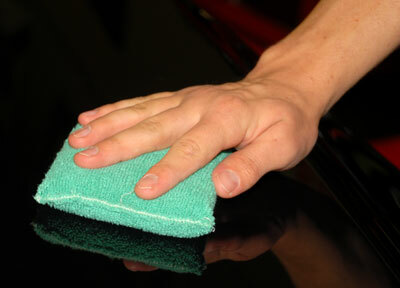 For hand application, use a microfiber applicator pad. For machine application, use a foam polishing or finishing pad. Work the product into the surface and remove residue with a soft microfiber towel. Apply appropriate Black Label Diamond coating to surface. All Pinnacle Black Label products are top quality,but expensive. I purchased this to use as the pre clean for coating on my new very expensive chrome motorcycle wheel. I was a bit reluctant to try, but that was wasted worry.. It goes on easy and does take some elbow grease, but the final result is -- wow! The chrome popped out looking like liquid.. I like! - - I will be using this product from now on out for pre wax or pre coat work. - I am tempted to try on paint. ConsReally havent found any, maybe except you gotta work at it for the final shine. This prepared the paint for the Black Label Coating very well. Easy to use with great results. Easy application, nice squeaky clean finish. ProsEasy wipe on and wipe off product leaving a nice virgin surface behind.